Invite your guests to celebrate with this festive pink and purple Quinceañera invitation. 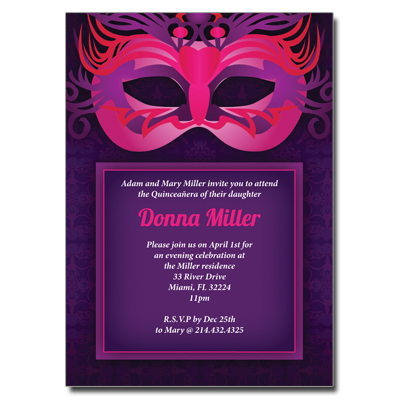 This design features an elaborate masquerade mask along with the event information in a purple frame with pink and white font on the front and an intricate purple background on both sides of the invitation. Card measures 5in x 7in.